For B2B companies with active websites of at least 500 visitors per month that currently collect leads through contact forms but are not satisfied with their existing website leads, a Quick Capture Agent™ from Thinking Chat® is a great option to consider. When a Quick Capture Agent™ is added to a B2B website the quality and quantity of prospective customers can increase dramatically. Unlike live chat which is intrusive and expensive, a Quick Capture Agent is automated and provides a cost-effective 24 hour website lead capture solution. 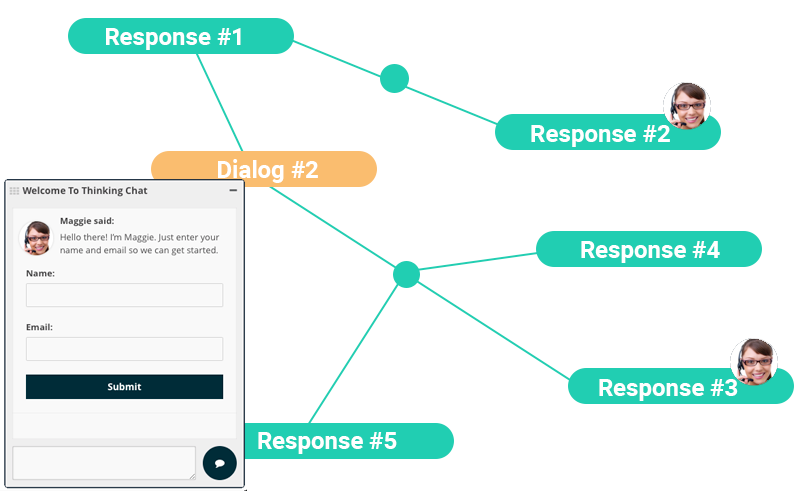 Unlike popups that may annoy your visitors and fail to help customers with questions, a Quick Capture Agent™ can capture leads and send valuable information to your sales team for follow-up. Within 90 days of adding a Quick Capture Agent™, one of our B2B customers captured a lead that resulted in a sale for over $74,000. Checkout our product pages for more detailed information. Get started today with for as little as $1. It's easy. Think of it like a brand new assistant that you hire to answer the telephone. With basic level of knowledge about your business & with the ability to ask a few questions you can train your assistant to capture all of the information so that you or a more experienced staff member would need to follow-up. This is the same concept applied to the online world. 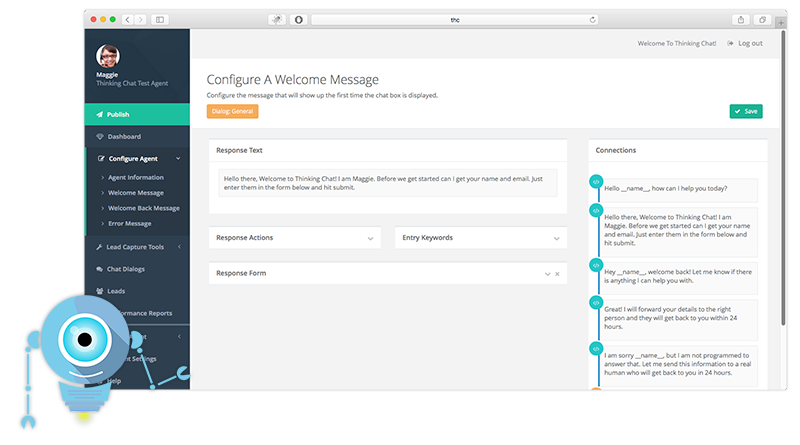 Your Quick Capture Agent™ simply uses Thinking Chat® technology to engage website visitors, ask questions, and relay that information to you/your team for appoint setting or follow-up. One of the most important aspects of Thinking Chat® Technology is that it makes configuring an automated chat agent a breeze. The Thinking Chat® Agent works right out of the box by engaging your customer - but with our easy to use dashboard you can control our advanced Smart Capture Tools and easily configure them to suit your needs now, and over time. Using advanced technology like automated chat does not need to break the bank. You don�t need to buy supercomputers or hire propeller heads to figure things out. With our cloud based monthly software service and affordable pricing plans you can pay as you go and upgrade when ready. Our plans offer an easily measured ROI and are easily affordable for small businesses serious about using marketing automation technology to increase new customer acquisition.